Individual grants typically range from $1,000 to $5,000. 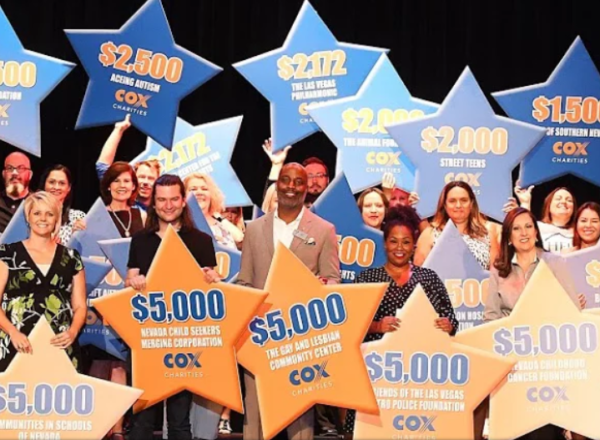 Cox Charities will fund only program-related expenses, including activities, materials and supplies that are directly related to the provision of services, etc., restricted to local needs in Southern Nevada. Funding will NOT be given for general operations or staff salaries/wages. Please review the Cox Charities grant application carefully, and complete all sections. Submissions are due no later than April 30, 2019 at 11:59 PM Pacific Time. Please submit online to jane.ramos@nevadacf.org. Organizations will be notified of funding decision by July 15, 2019.